An Advanced moisturiser to defend against signs of premature ageing of the skin and to diminish their appearance. The early signs of ageing , like dullness and fine, dry lines, are visibly reduced. Exceptional daytime hydration to bring out a radiant youthful look to your skin. Gourmet nourishment for VIP skin cells. Peptide-rich, botanical-bursting moisturising cream—keeps regeneration running at peak performance for long-term luscious skin. Food for thought – Delivers nourishment to cellular mechanisms with a rich and unique formula of peptides and active botanicals. A firm decision: wrinkles, buh-bye – With regular use and in as little as four weeks, you will have a reduction in the appearance of fine lines and wrinkles. Pair with Serum Rejuvenate to get even more impressive results. Radical departure – Decadent moisturisers plump skin’s appearance for a dewy glow. 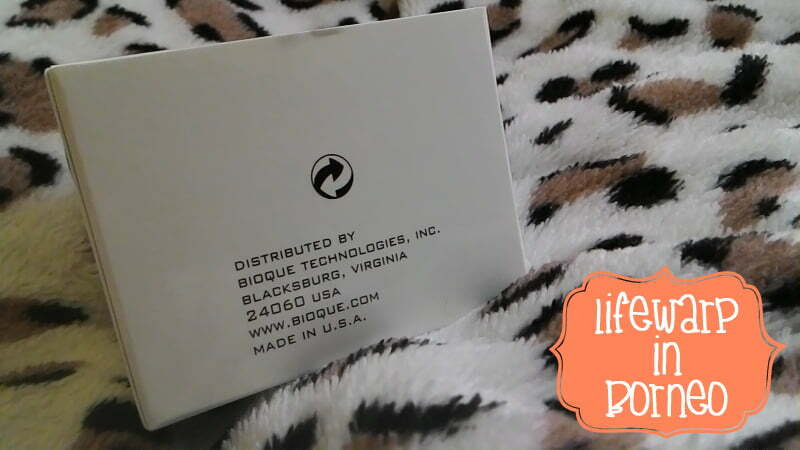 Cleanse face with Bioque Facial Cleanser and pat dry. If using Serum XL and/or Serum Rejuvenate, apply first and wait for product(s) to fully absorb. Apply in the morning to facial area, gently massaging with upward motions; can also be used on back of hands and neck. Wait for absorption before applying any additional creams, foundations, or make-up. Use together with Serum Rejuvenate and Rejuvenating Night Cream for maximum benefit. Water, Cyclopentasiloxane, Hydrogenated Polyisobutene, Polymethylsilsesquioxane, Phospholipids, Glycerin, PEG-8, Butylene Glycol, Ethylene/Acrtlic Acid Copolymer, Trifolium Pratense (Clover) Extract, Dimethicone, Nelumbo Nucifera Seed Extract, Cetearyl Alcohol, Mimosa Pudica Leaf Extract, Polyphosphorylcholine Glycol Acrylate, Sodium PCA, Retinyl Palmitate, Carbomer, Acrylates/C10-30 Alkyl Acrylate Crosspolymer, Acrylates/Vinyl Isodecanoate Crosspolymer, Xanthan Gum, Phenoxyethanol, Sodium Hyaluronate, Ascorbyl Palmitate, Caprylic/Capric Triglyceride, Helianthus Annuus (Sunflower) Seed Oil, Hydrogenated Butylene/Ethylene/Styrene Copolymer, Hydrogenated Ethylene/Propylene/Styrene Copolymer, Hydrogenated Lecithin, Hydroxylated Lecithin, Lecithin, Tocopheryl Acetate, Acetyl Hexapeptide-8, Palmitoyl Oligopeptide, Palmitoyl Tetrapeptide-7, Ceratonia Siliqua Gum, Cyamopsis Tetragonoloba (Guar) Gum, Hydroxypropyl Starch Phosphate, BHT, Polyquaternium-51, Citrus Medica Limonum (Lemon) Fruit Oil, Trehalose. 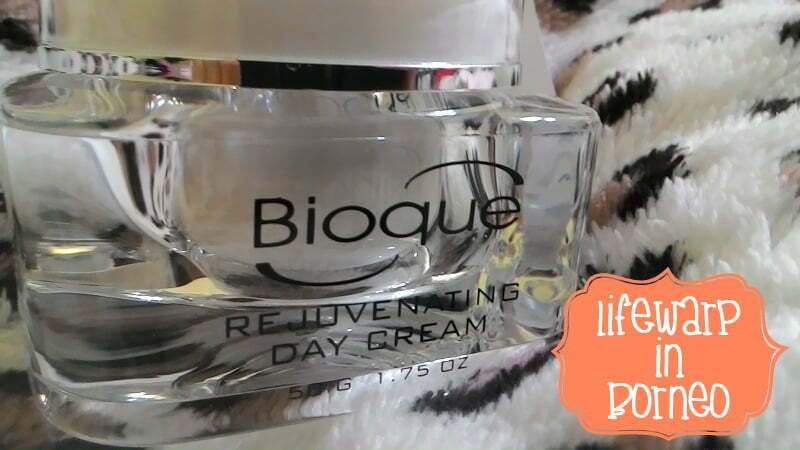 I received this jar of Bioque Rejuvenating Day Cream (50g) as part of the advertorial, and I’ve been using this for 14 days just to check whether it’s suitable for my combination skin type. I also asked my hubby to apply this every morning on his face as he has a sensitive skin. I like the packaging of this cream as I find it’s practical and sleek. It comes with a small plastic boomerang-a-like inside the packaging which I’m not sure of its functions. I have no idea at all, and my hubby assume that it’s for face massaging. Moreover, there’s no details on how to use that ‘boomerang’ thingy. No functionality, throw it into the dustbin. First thing that I find upon opening the jar is the cream doesn’t well-stabilized in the jar. It would be great if the cream is bottled in an air-tight pump container. I like the consistency of the cream, and the texture is also nice. 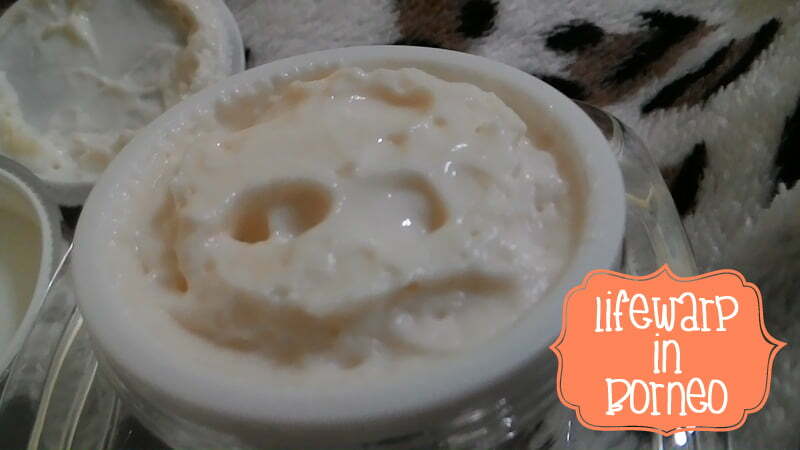 It leaves the skin supple, and moisturized. 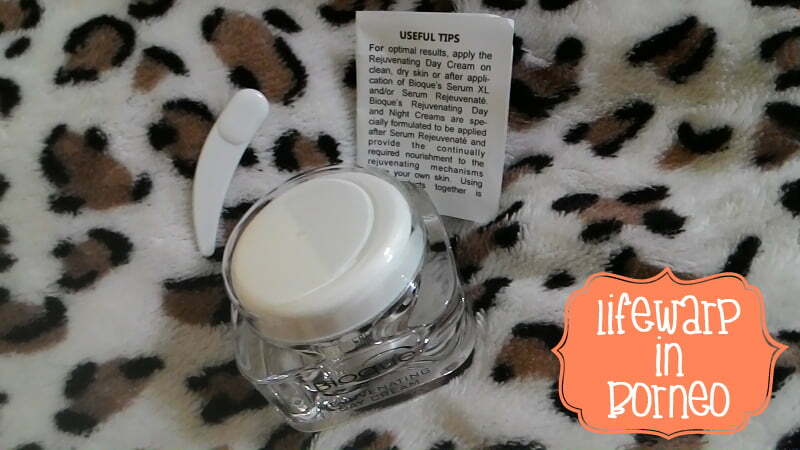 This cream is said to stop the marks of aging by reducing the appearance of dry, fine lines, and dullness. It really does! My hubby also experiences the same result as his skin is rejuvenated. 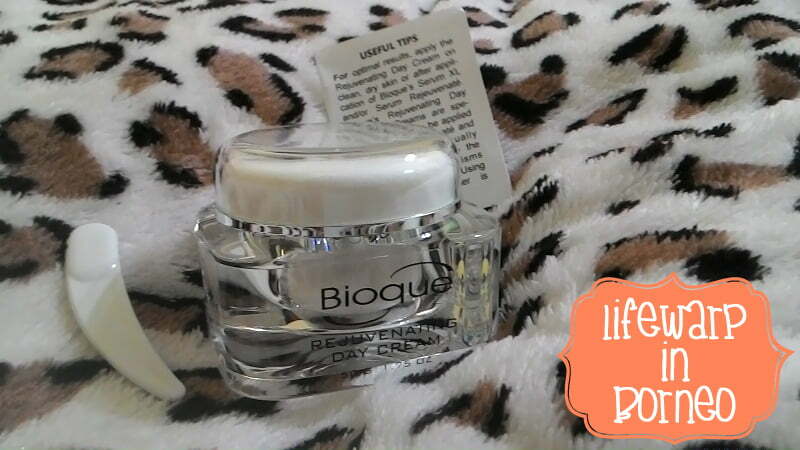 This cream does not cause clogged pores, and blackheads. It doesn’t give us breakouts, too! Furthermore, I find this is really nice even to be applied under makeup as it leaves me with dewy look just like those Korean celebrities! In fact, I only dots a few before applying my current favourite Klairs Illuminating Supple Blemish Cream SPF40 PA++. This also perfect for those who are on the run or don’t like to put too much make-ups. 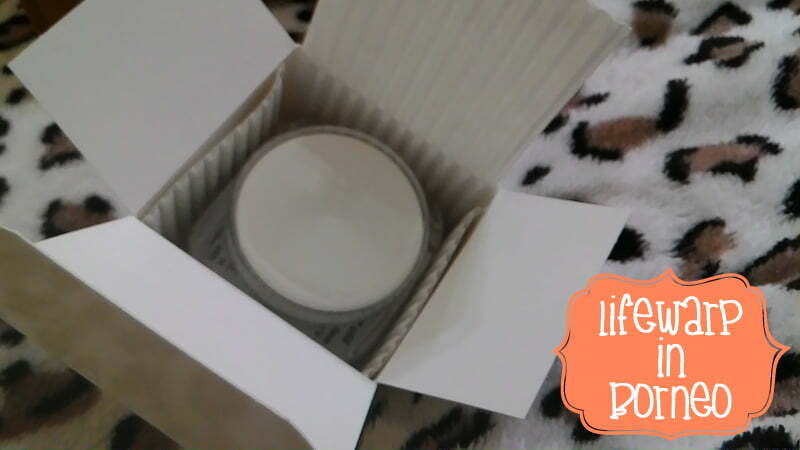 All you have to do is apply a few amounts of this cream, and then layer it with a loose powder. It feels sticky a bit (that’s why you will need something to matte it off). The only thing that I dislike about this cream is the price. My hubby, however, has something to say about the scent which he thinks it has tons of chemicals. But, we agree that this cream does make us wonder. 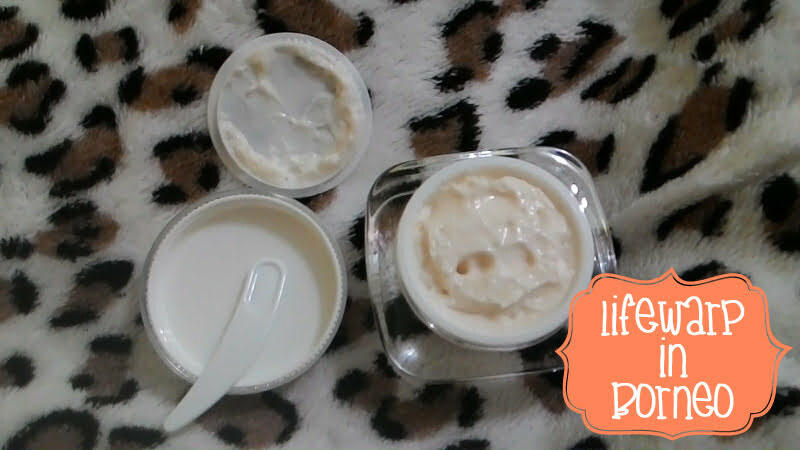 We also applied it during nighttime, and it really makes the skin refreshed in the morning.